Photoshop, or This is Not Photography! This diagram summarizes the ideas behind an ‘ecology of images’. An image always exists in a set of contexts. It is always part of an ‘image community’, which it works with or against. It is portrayed here with a honeycomb effect around the central image. 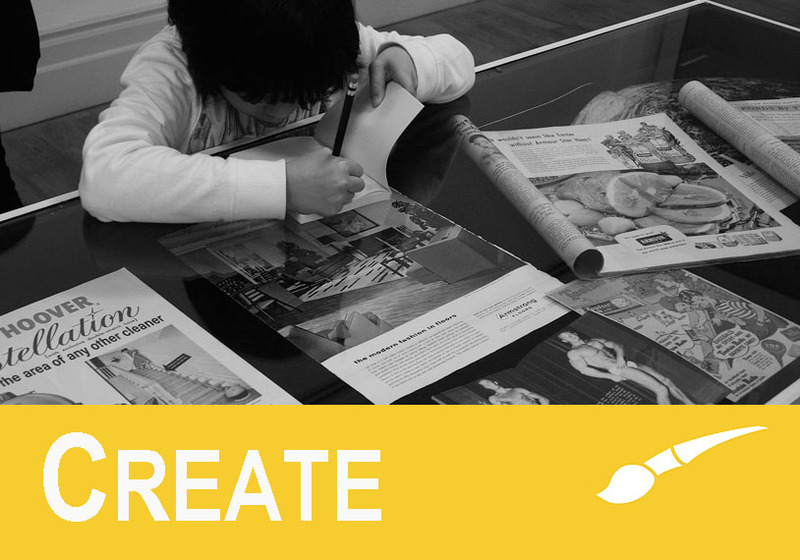 Image community can be thought of as a genre and/or a modality of images. As such, there are formal aesthetic properties and particular content and uses an image might share with other images, or indeed with which it is attempting to work against or appropriate. Drawing out (from) Barthes on Twombly: Seminar or Workshop? Elkins draws upon a wealth of experience in teaching drawing and painting to graduate students who ‘had not picked up a charcoal since elementary school’. An underlying interest is to ‘critique certain assumptions that are made about differences between art history and studio practice’. What is revealing, he suggests, is ‘a surprising new kind of visual competence’, and the crucial fact that ‘some of the insights that emerged are not replicable in classrooms where images are not produced’. Reference here to ‘the manner of certain Chinese painters’ is not without its difficulties. Nonetheless, in the 1970s, just prior to writing about Twombly, Barthes had travelled to both Japan and China, and in his writings from this time makes numerous allusions to Eastern philosophies and aesthetics (which continue to echo with his late lecture course on the Neutral). The slim volume, Empire of Signs, includes a beautiful photograph of a brush poised in a calligrapher’s hand, rounding on the final arch of a circle drawn with a single brushstroke in deep, black ink. Barthes draws direct comparison between Twombly’s mark-making and Japanese Zen satori – being a ‘sudden (and sometimes very tenuous) break in our causal logic’. Barthes writes: ‘I regard [Twombly’s] “graphisms” as so many little satoris: starting from writing (a causal field if ever there was one: we write, it is said, to communicate), various futile explosions, which are not even interrupted letters, suspend the active Being of writing…’ – unsurprisingly, Barthes attempts to place Twombly’s work within a post-structural account of ‘writing’. Twombly, it is suggested, ‘has his own way of saying that the essence of writing is neither a form nor a usage but only a gesture, the gesture which produces it by permitting it to linger: a blur, almost a blotch, a negligence’. Gesture, not product, is key to an understanding of Twombly, and allows Barthes to break with the strictures of a semiotic ‘system’; leading us to distinguish ‘the message, which seeks to produce information, and the sign, which seeks to produce an intellection, from the gesture, which produces all the rest (the “surplus”) without necessarily seeking to produce anything’. The idea of ‘painting alla prima’ – as linked to Chinese painting – makes for an obvious connection with the notion of gesture, and as different to message and sign. Nonetheless, it is worth keeping in mind the pictorial ambiguities of Lichtenstein’s Chinese landscape paintings, produced primarily through the artist’s signature use of Ben-Day dots (a mechanism of message and sign if ever there was one! ), combined with some explicit gestural brushstrokes. The complexity of physical marks, and the ideas ‘behind’ those marks are inevitably complex and ever changing. 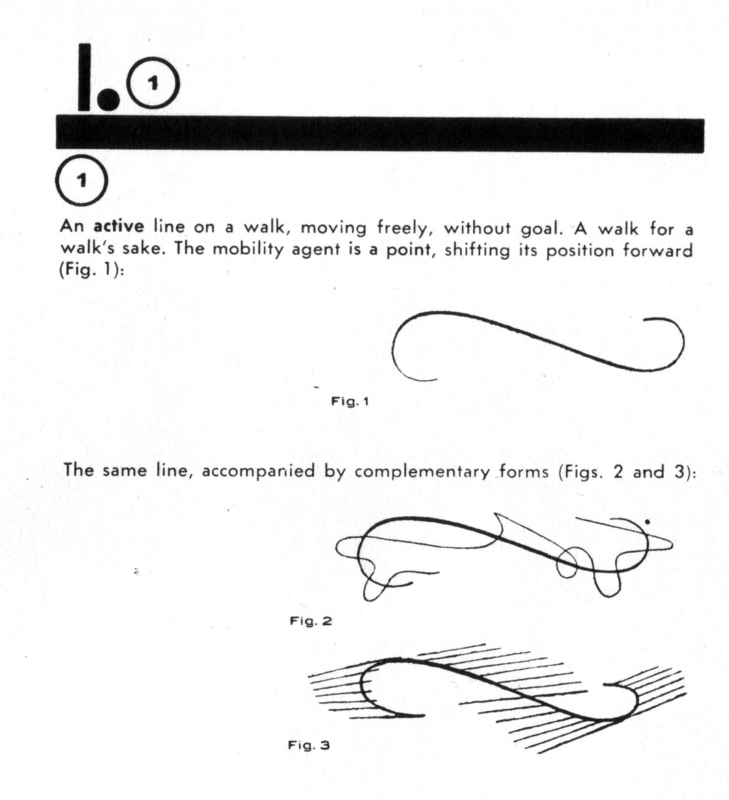 Taking Barthes parenthetical remark on the distinction between Twombly and Klee, we began the seminar by working through the opening examples in Klee’s Pedagogical Sketchbook, which he famously begins by taking a line for walk: ‘An active line on a walk, moving freely. A walk for a walk’s sake’ (see Image Studies, pp. 104-105). The initial exercise of simply drawing a line for a line’s sake prompted vexed faces in the room. ‘What do you mean, take a line for a walk… does that mean we know where we are taking it? Or does the line take us for a walk, and if so, how can it do that?’. Evidently the most rudimentary task of drawing a line raised questions about authorship, control and the quality of the mark-making; we quickly found ourselves talking about the difference (if any) between Klee’s exercise (as an exercise in art) and the activity of doodling (which we might do idly as we talk on the phone etc.). The next step was to repeat our meandering line, but to embellish it with lines that circle around it, so complicating the original, and further prompting questions about our sense of control in the picture we were forming. Klee’s exercise then introduces the idea of an imaginary line, around which you can again introduce supplementary lines. The notion of the imaginary line opens up some interesting connections with the work of Cy Twombly, which Barthes suggests we ‘might call the allusive field of writing’. Even if it is possible to consume aesthetically the result of his work (what is called the oeuvre, the canvas), even if [Twombly’s] productions link up with (they cannot escape) a History and a Theory of Art, what is shown is a gesture. What is a gesture? Something like the surplus of an action. The action is transitive, it seeks only to provoke an object, a result; the gesture is the indeterminate and inexhaustible total of reasons, pulsions, indolences which surround the action with an atmosphere (in the astronomical sense of the word). Again, the idea of ‘surplus’ comes through in Barthes’ text, which for the purposes of the seminar, led us to consider as all kind of (potential) unmapped directions in one’s own practice. We wanted to suppose Twombly offering a form of ‘research’ on the pictorial plane; a means of entering into an allusive ‘field’ of one’s own work; to test ideas, to formulate possibilities and even perhaps to create critical distance (through surprise, or satori) from our habits of drawing which act as a gestural signature to each mark we make. The seminar participants were all practitioners of fine art, each with their own distinctive engagements; and with ongoing problematics at stake in producing ‘finished’ work. Thus, having ‘warmed-up’, if not indeed having become ensnared with Klee’s exercise in taking a line for a walk, we moved to what we felt would be a freer, if harder to define, task: to surround one’s own visual practice with a ‘atmosphere’ – as Barthes suggests – that comes of gesture, not product. 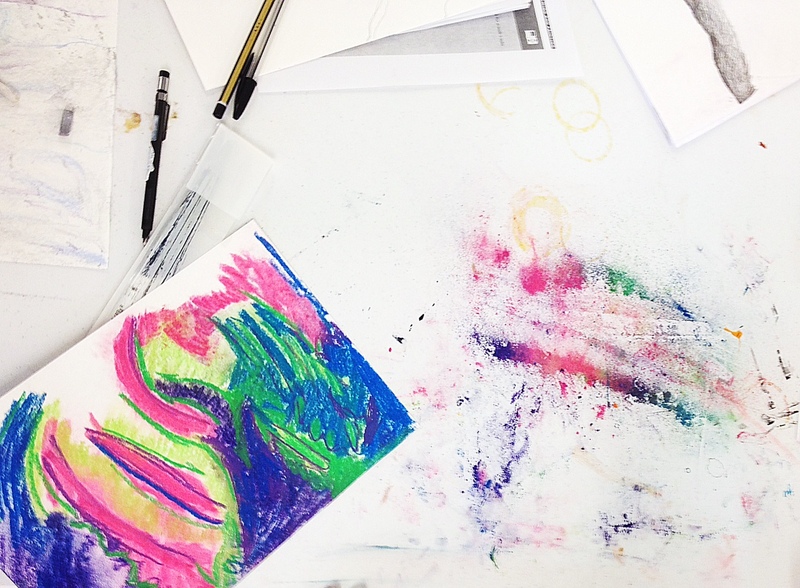 Participants, then, were asked to draw in and around their own practice by imagining their work – by which was meant not drawing ‘it’, only drawing with it and around it. The exercise soon revealed the difficulty and dilemmas of attempting to draw from outside of one’s own ‘body’ of work, but which in the best examples, enabled a whole new set of questions and challenges to one’s practice. To an outside observer looking in, the seminar would have readily appeared as some kind of self-help group. With around 12 of us sat around a long table, improvised in the middle of the cluttered studio environment, we assumed a community of drawers. Crucially, everyone was very generous in accepting the ‘terms and conditions’ of the practical tasks, and a real sense of trust prevailed allowing us to freely talk about Barthes’ text. Nonetheless, there was an ongoing sense of uncertainty and even frustration at times. Without stating it, the persistent, underlying question was just what could genuinely be achieved by bringing a dense, critical text into the studio in this way. Such speculation was of course the very point of the session. Yet, inevitably, the open-endedness and unstated goals were liable to create anxieties and the aforementioned frustrations – which crept in by the mere fact of provoking of a watching of one’s own act of drawing. With the opening tasks, a general hush fell upon the room, as we all busily tried to ‘implement’ our drawings as best we could, set against the inevitably ambiguous instructions. However, an audible and dramatic changed occurred as we switched to the deliberate use of colour. [Twombly] does not paint color; at most, one might say, that he colours in; but this coloring-in is rare, interrupted, and always instantaneous, as if one were trying out the crayon. This dearth of color reveals not an effect (still less a verisimilitude) but a gesture, the pleasure of a gesture: to see engendered at one’s fingertip, at the verge of vision, something which is both expected (I know that this crayon I am holding is blue) and unexpected (not only do I not know which blue is going to come out, but even if I knew, I would still be surprised, because color, like the event, is new each time: it is precisely the stroke which makes the color – as it produces bliss). For more on Cy Twombly and an extract from Paul Klee’s Pedagogical Sketchbook, along with a broader commentary on both painting and drawing, see Chapter 4 of Image Studies: Theory & Practice (Routledge, 2013). Students at York St John University have used Photoshop to create a series of contemporary responses to pop artist Richard Hamilton’s iconic collage, Just What is that make today’s homes so different, so appealing? (1956). The work was completed as part of a taught module on Visual Culture, which takes a historical, theoretical and creative approach to examine the various complexities, relations and tensions between words and images. So begins the narration of this animated film of Plato’s allegory of the cave. The allegory is one of the most influential comments on the image in the history of philosophy. For Plato, ordinary people are described as slaves chained in a dark cave witnessing in the firelight only shadows of what lies outside. Climbing out of the cave to ‘enlightenment’ is achieved only through rational thought, which provides the right way of ‘seeing’. The allegory establishes what is now a well-known narrative from dark to light, from ignorance to enlightenment, and which significantly is linked to language (as means of rational thought) usurping the image. 1. Is this a ‘faithful’ rendering of Plato’s original text? How can we know? 2. After watching the film, can you picture the scenes differently? Or are you ‘trapped’ by the images playing on your computer screen? 3. Is Plato’s allegory about power and ideology, or about our comprehension of the world and aesthetics? Try making a visual representation of Plato’s cave yourself – what would your version look like? Plato, (1955) The Republic. London: Penguin, pp.278-83. Manghani, S. (2013) ‘Image and Text’ in Image Studies: Theory and Practice. London: Routledge, pp.59-87.